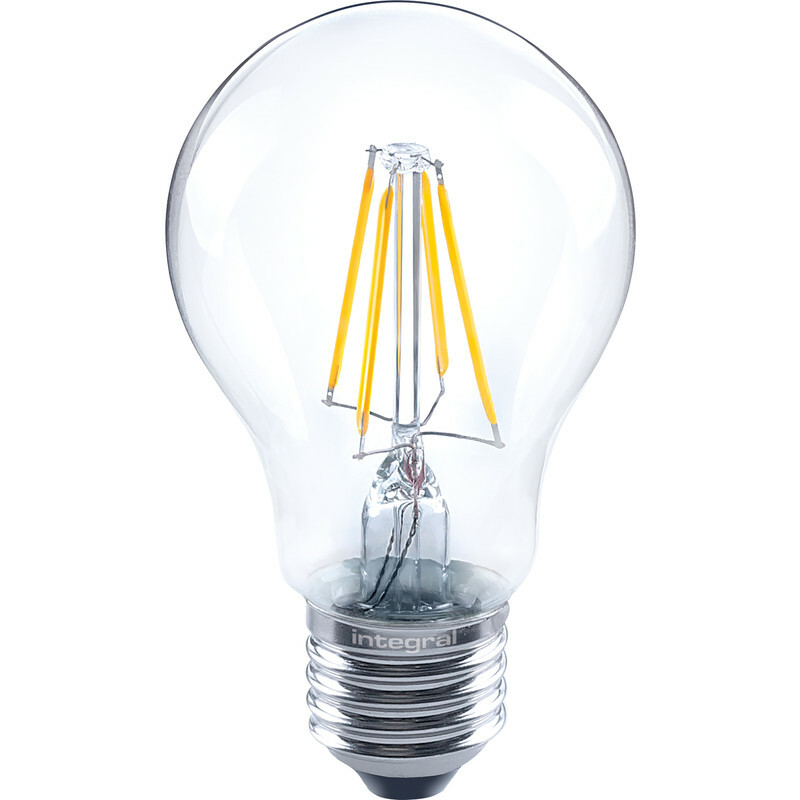 Integral LED Filament GLS Dimmable Lamp 4.5W ES (E27) 470lm is rated 3.9 out of 5 by 15. Rated 3 out of 5 by SeymourJ from Lasted 5400 hrs Nice filament look, nice warm colour. Lasted year and a half as outside lamp. Usage average 6hrs a day plus minus. Is that good? It's not 15000hrs. No guarantee given. Rated 5 out of 5 by Mentm from Just what we were after Similar look and effect to a traditional light bulb. Rated 5 out of 5 by Wedgy from Dimmer blue led bulb works perfectly and very quie Only just purchased and so far ok. Rated 4 out of 5 by Railway fan from Good product Perhaps not the cheapest on the market but at least I know that I have bought a quality product that I am sure will last, unlike a LED lamp that I bought from IKEA a short while ago and it started flashing.